For its largest group show yet, the blue-chip art gallery unveils "Cells," a boundary-breaking installation filled with surreal designs. A walk inside Marianne Boesky’s latest group exhibition in New York is like paying a house call of the most hallucinatory kind. 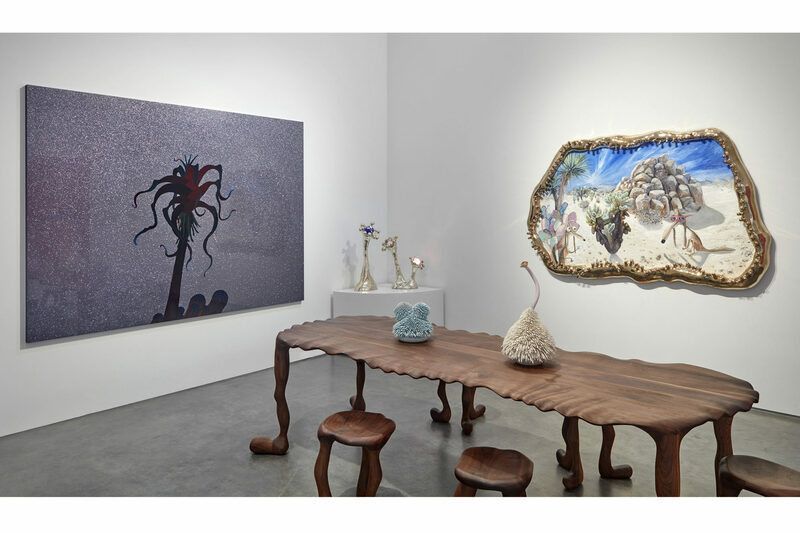 Upon entering the gallery, viewers are greeted by a Haas Brothers painting of drug-fueled experiences in Joshua Tree, and later by their Seussian flower lamps, which glow in the corner. Next door, Jorge Pardo’s credenza with its yellow honeycomb panel shares the room with Jackie Brookner’s tongue-shaped sculptures made from compressed dirt, velvet, and wood. 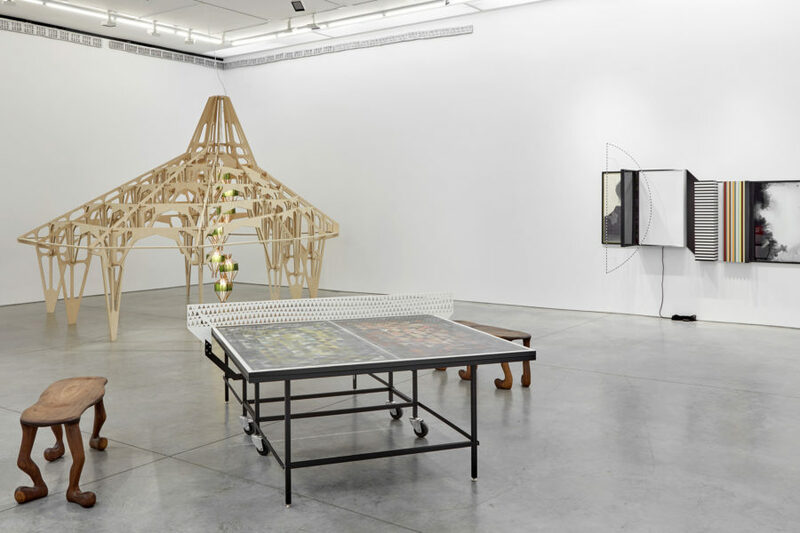 And farther in, Matthias Bitzer’s resin Ping-Pong table sits between wooden benches with cartoonishly anthropomorphic legs (more creations by the Haas Brothers), all installed near another Pardo work—a UFO chandelier that seems to have just touched down at Boesky. It’s not just the pieces in the show that toy with one’s sense of reality, but their very arrangement in the gallery: What are these familiar household objects doing in a temple of fine art? The works from the nine international artists selected for the new exhibition “Cells,” on view through Aug. 11, operate in a humorous limbo between the familiar and the foreign, testing the boundaries between art and design, form and function, art and craft. “I think everyone in the last five to ten years has seen more gallery environments embracing the combination of craft and fine art and not necessarily trying to stratify them,” says the show’s curator, Kristen Becker. Together, in these surreal vignettes of domesticity, the pieces prompt the question of whether these presupposed binaries exist at all. Works from Jorge Pardo, Haas Brothers, and Matthias Bitzer. Works from Cosmia von Bonin, Jorge Pardo, and Haas Brothers. Works from Jessica Jackson Hutchins.